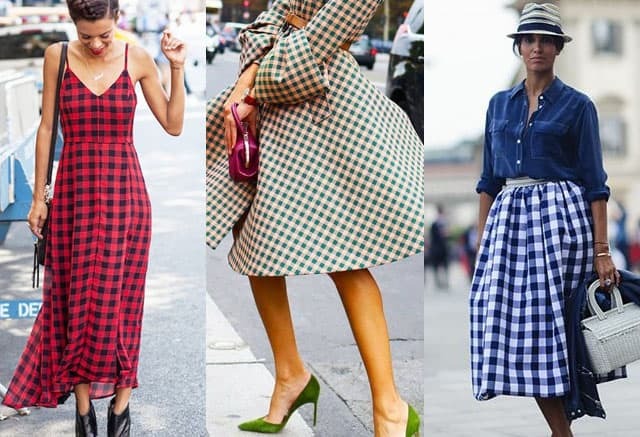 When it comes to outfits with gingham patterned clothes you don’t really have to worry: all the basic casual clothes are gonna be the best choice as far as anything gingham is concerned, and it’s easier to say how to wear gingham print not to screw up the look, than list all the combinations you can make. 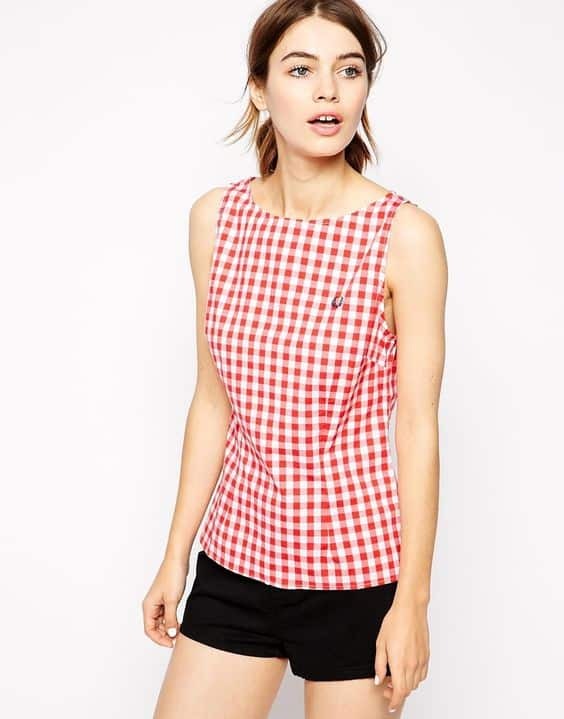 Being associated with vintage and pin-up styles gingham seldom looks good paired with neon acid colors, and also since it’s a rather plain pattern you want to avoid any color that’s too posh or complicated like gold or marsala or hunter green. 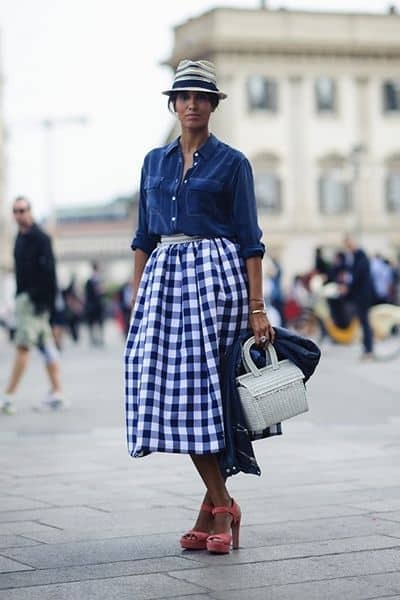 On the other hand there’s nothing better than a mere pair of jeans to create a killer look with that gingham shirt of yours. 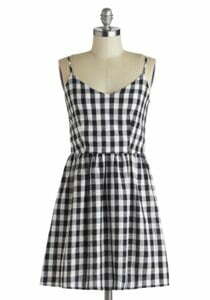 Actually when someone asks your advice on what to wear with gingham, just tell them that they should go for denim whatever and that’s gonna be it. Seriously. 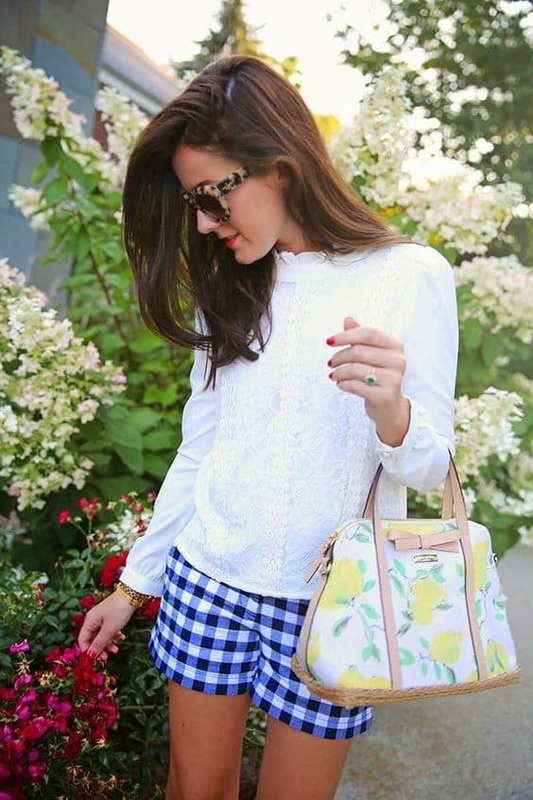 Thinking outside the denim, you might consider pairing gingham with anything that’d match the color of the checks, and since they’re usually available either in blue or red both hues will also do the trick. Gingham coat with lime green suede pumps and fuchsia purse is a cross between remembrance about retro and the love of the classics.